It begins with a bowed head in the changing room. A moment of quiet contemplation or a prayer to whatever gods watch over professional MMA fighters. The trainer tightly wraps tape around the fighter’s fists for protection. Well-punished cauliflower ears are a trademark in this sporting arena. 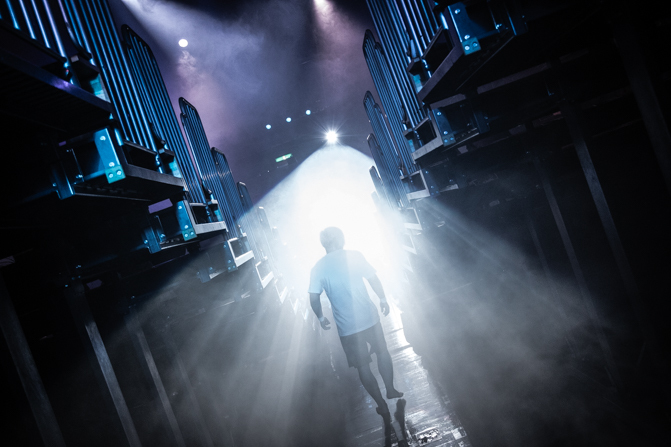 The music and fanfare starts and then into the cage — a decagon, or ten-sided fighting space, where there is nowhere to hide. No ring with a rope to cling on to, or duck under, if ever in distress. 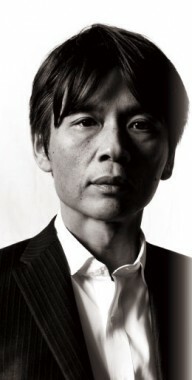 CEO of Smash Co., Ltd. 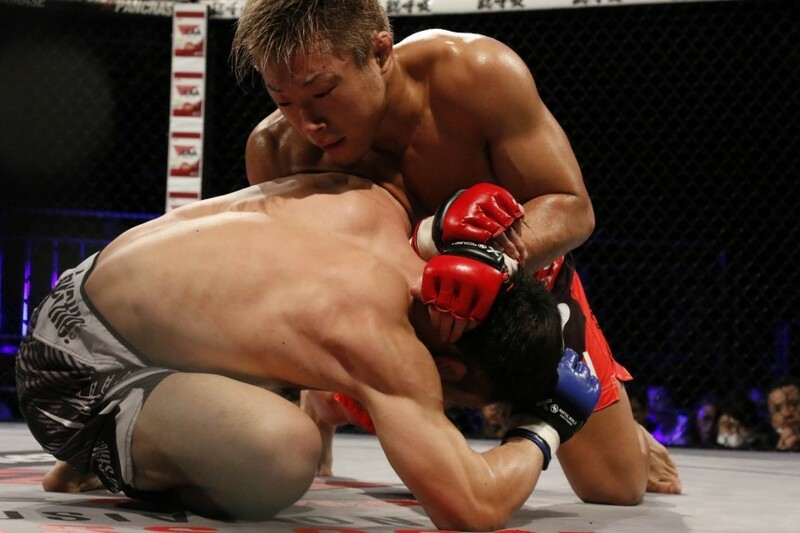 The history of MMA in Japan, to an outsider, is like a complex and intricate puzzle. Disparate organizations, groups, competitions and rules as well as promoters, fighters and fans. Pancrase, a company that promotes a particular form within MMA, itself known as Pancrase or Hybrid Wrestling, has a long history in Japan and altered dramatically at the turn of the century when MMA introduced unified rules. For domestic fans of Pancrase, fights can be watched on Tokyo MX and Abema TV (with Japanese commentary) or on UFC Fight Pass (English commentary). 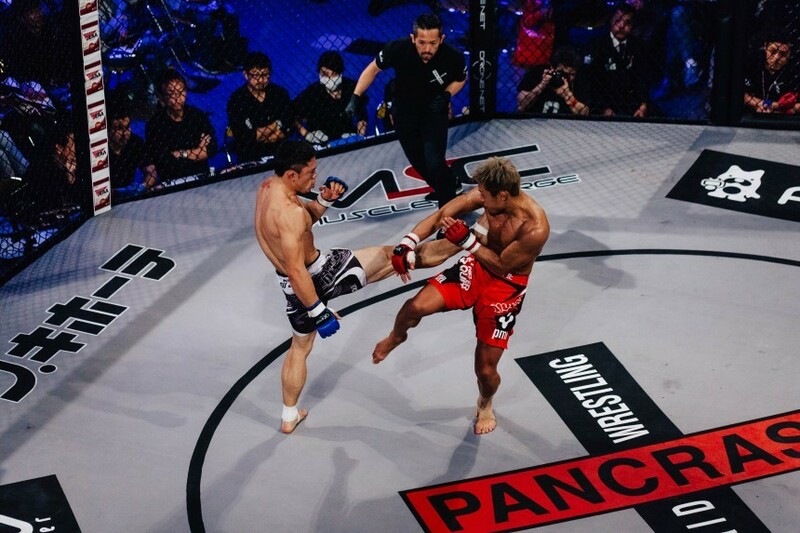 Pancrase has become the only Japanese promotion to be televised live on UFC Fight Pass and, in turn, has had a huge effect on its popularity overseas. 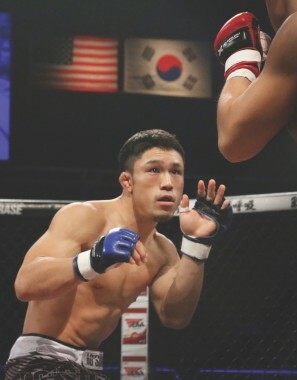 One additional bonus for Pancrase is that it has seen the number of Pancrase fighters being scouted for UFC increase over recent years, with fighters Daichi Abe and Syuri Kondo being some of the more well-known names to cross over. “As for training, it’s really hard. For example, the champions have to be able to fight five five-minute rounds to get the belt or defend the belt. And in order to fight 100% for 25 minutes, you have to go through some serious training. Maybe training every day. Some maybe take one day off but a lot will train twice a day, six days a week. Women’s MMA is also experiencing a surge in popularity due to household names such as American fighter Ronda Rousey. In Japan, Syuri Kondo, a Queen of Pancrase holder, is just as big with a legion of fans. An astute businessman, Sakai is very invested in this side of Pancrase, and sees great opportunity in showcasing the best joshi-kaku (female fighters) in Japan. Sakai explains that part of the rising popularity of MMA comes down to a decision in 2005 by the athletic commision (in the US) to make MMA an official sport. This was very much influenced and supported by UFC, who campaigned seriously to have MMA considered on the same terms as baseball, basketball and American football. 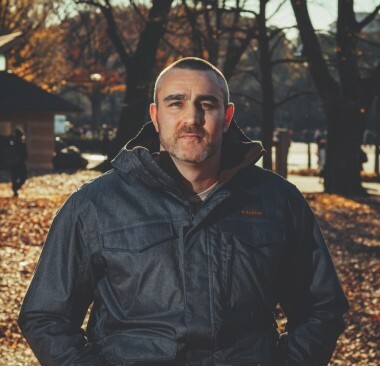 The Japanese entrepreneur has big plans for Pancrase. 2018 sees expansion into Las Vegas in August and a domestic location change from Differ in Ariake to Studio Coast on Tokyo Bay — famous for the AgeHa nightclub. Studio Coast’s multiple spaces mean more events on fight day, like barbecues, and a more festive atmosphere. The new location also has cachet within the foreign community, so Sakai expects the number of foreign visitors to increase as the sport becomes more popular. He also mentions that Japanese families often come to events, and targeting kids from a young age can only help the sport grow. Some even participate at age 15 or 16 in Neo-Blood — a competition where winners ultimately have a chance of gaining a professional license and earning a spot on the main card. Ultimately, Sakai and Fulton are in agreement that Pancrase has the opportunity to be a global name — to be respected and recognized as “a sport for athletes,” mentioned in the same breath as other major sporting competitors. 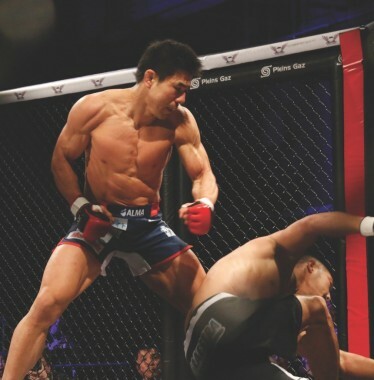 Learn more about Pancrase here. On Sunday February 4th, Pancrase will be hosting its first fight at Studio Coast.